Can Mac Malware Be Removed for Free? Mac is presumed to be safe from any type of infection. Although it’s quite unlikely, but you may have an uninvited guest in your machine. If you have a doubt that you have a malware on your Mac or you think you may have it in future, you can get it resolved for free. It is important to know that it’s not impossible to get your Mac infected, despite all security claims by Apple and naive users. The infection may arrive in any form such as a phishing email, which is hard to identify..
Malware is a malicious software that gets into your system with your approval. This might sound odd but unlike a virus, it seeks you permission before getting into your computer. Although, you may not identify it as they’re disguised as legitimate software or may even be disguised as an anti-malware software too. Once they’re in, they gather your personal and banking information and transmit it to the source or the hacker. Malware is a big game to play for hackers, as they have to convince you indirectly to download such product. As soon as you fall in their trap, malware enters. Although, it is true that there were hardly any cases of malware attack on Mac machines, but the reason for it was the larger audience on a different platform. Hackers target the larger public where they have better possibilities. However, if you check the recent records, Mac is targeted with malware more than any other machine. According to a leading organization there’s been a 230% increase in Mac malware since July 2016. 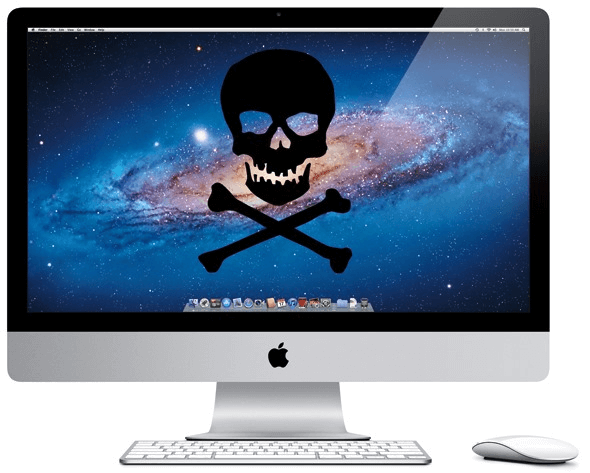 How to remove malware from Mac for free? Close the Safari or any other web browser that is opened by the combination of CMD + Q on your keypad, or you can right click on the icon of the browser and click Quit. Go to Downloads folder of your Mac and drag any installed file, or files which you don’t remember downloading to Trash. You can now empty the Trash by right-clicking and choosing to ‘Empty Trash’ from the list of options. What if it is already installed? If the suspected app is opened, memorize the name of the app. Shut the app window off or simply put it to minimize. Launch the Utilities folder with the combination of CMD + Shift + U on your keypad. Go to Activity Monitor and select All Processes. Search for the name of the app in the list or any such app that you don’t recognize and hit Quit Process. Go to Applications folder and find the app you’ve just Quit Process for. Drag that app to the Trash and empty it by doing a right-click. How to keep Mac safe from future attacks? Do not visit any suspicious website and always check for the https:// security certificate. Do not download any program from any unknown or popped up website as it may be a trap. Keep your Mac updated by visiting the App Store and clicking Update All. Switch on the automatic updates from System Preferences and click App Store. There you can select the option of Automatically Check for Updates. Note that both Install macOS Updates and Install System Data Files and Security Updates are selected. Guard it from System Preferences by selecting the option Security and Privacy, go to General and check the option under Allow Apps Download From is set to either Mac App Store or Mac App Store and Identified Developers. Its advised not to set it on Anywhere. Now that you know how to fix and keep your Mac secured from malware, you can do it on your own. It’s important to apply basic hygiene while downloading and visiting unknown websites. In case you face any serious issue, take your Mac to only the Apple authorized service centers.